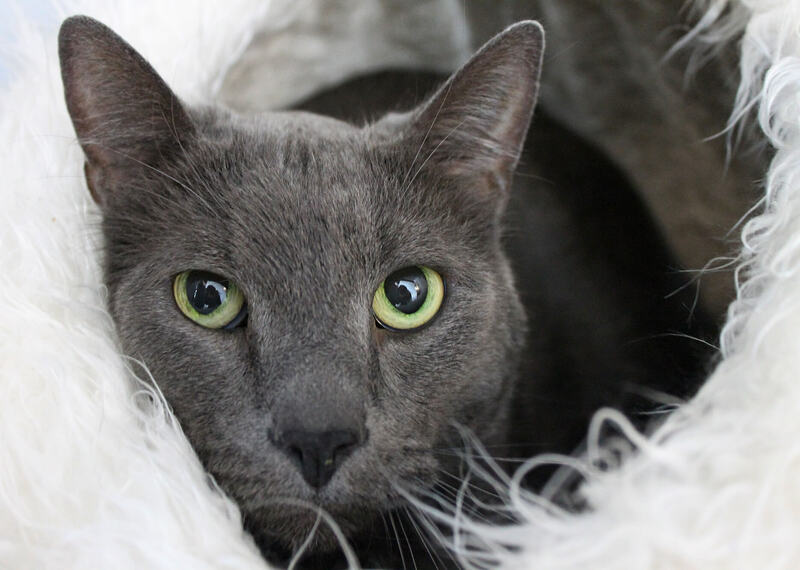 I am Asher — the beautiful grey/blue boy with striking greenish-yellow eyes. I just love to get gentle attention and will instantly purr whenever someone takes the time to greet me and give me pets. So far, with lots of love and patience from the people at Pixie, I’m really starting to show my great purrsonality and I’m ready to find my forever home! Are you interested in a calm older gentleman like myself to keep you company? I am in foster, so please fill out your application and Pixie will contact you to set up a meet and greet! I come to you neutered, vaccinated, and micro-chipped for an adoption fee of $100.